The 24-year-old tells that the seeds of his new music were sown during his move from Perth to Melbourne earlier this year, a three-week car trip that changed his perspective on key relationships. "Blood" is a slow-burning ballad with atmospheric, icy piano nestling alongside the elegant warmth of strumming acoustic guitars. Its centrepiece, is its stirring chorus, with Bain’s falsetto elevating it into the stratosphere. This moving amalgam of beats, sampled sounds and Bain’s soulful vocals speaks of an artist finding his direction, moving away from the blues and roots of his earliest works to land on a sound that is his and his alone. 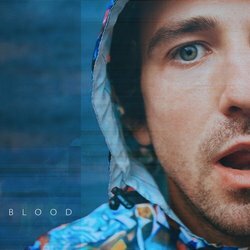 Blood is a slow-burning ballad with atmospheric, icy piano nestling alongside elegant warmth of strumming acoustic guitars. Bain’s falsetto elevates it into the stratosphere in the chorus. This moving amalgam of beats, sampled sounds and Bain’s soulful vocals speaks of an artist moving away from the blues and roots of his earliest works to land on a sound that's his.